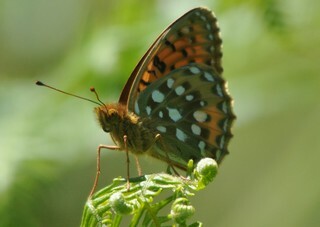 I went to Bentley Wood today which is south-east of Salisbury, quite the best place to see woodland butterflies in the UK. The wood was acquired from the Forestry Commission by a charitable trust in the early 1980s and is superbly managed for its wildlife. 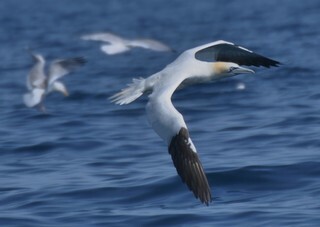 Any conservation organisation would be proud of what has been achieved here. 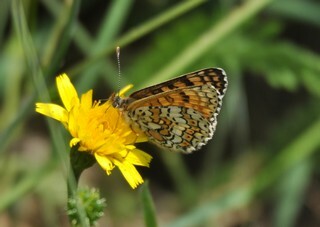 Some 36 species of butterfly occur almost annually here. 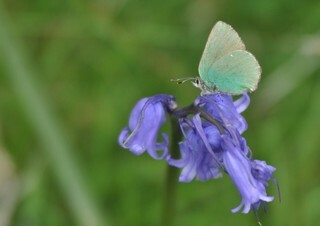 This is part of the largest area of woodland in Wiltshire, and in its rides and clearings, conditions are just right to support several rare species. I've been several times and its always been a enjoyable experience. 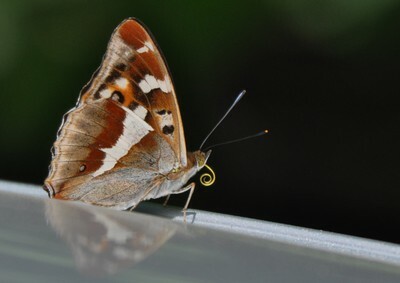 I went up today to see the Purple Emperor and you have to be at the woods for a 9am start, this is when the Butterflies come down off the trees to feed but normally they are back in the trees by 12. This meant a 5am start for me and that time of the morning very little on the road so was at the West side of the Woods by 7.45. 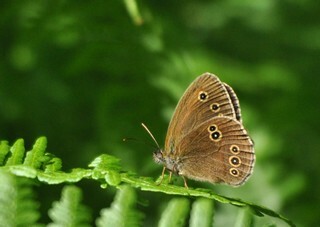 Had a good look around here and even though it was early I was surprised at the amount of Butterflies about especially Ringlets, they were everywhere! 10am Back to the car and off to the East side of the Woods, the car perk here is a favourite for the Emperors. As I came in one was flying around the car park and landed on several cars. Saw plenty of Silver Washed Fritillaries, Ringlets, Meadow Browns, Purple Hairstreaks, Small Whites, Gatekeepers, Large and Small Skippers and Comma. Nice to meet so many great people on my visit, some very proud locals and grateful visitors. The title makes it sound like I've walked 50 miles today, far from it! 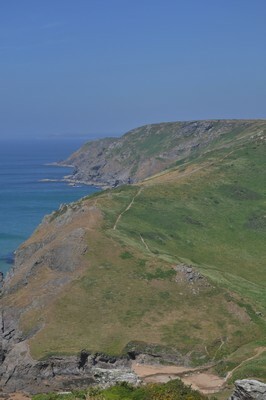 While I was down the south hams I did a circular walk from the East Soar Car Park and a walk from Bolberry Down to Bolt Tail and back. It certainly gave my knee a good work out! 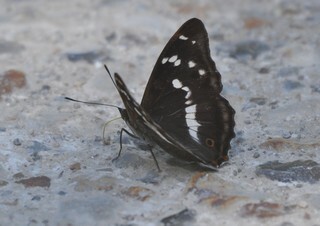 The weather was great for walking but rubbish for looking for Butterflies. 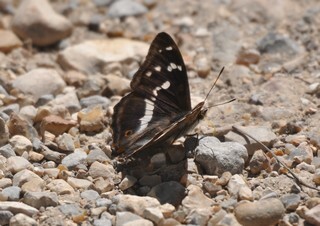 It was lovely and sunny because of the wind, Butterflies were being thrown all over the place by the wind. 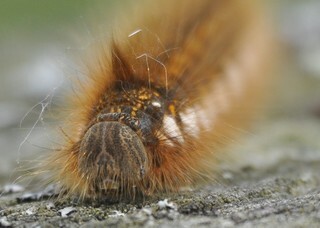 Although managed to find several in the shelter behind the hedge and field boundaries. 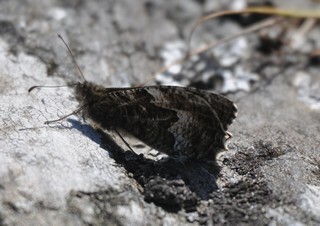 I went looking for a Grayling and eventually one flew in front of me and landed for less than a minute, enough to get a shot which wouldn't get any prizes, I was surprised not to see more but one is better than none. That makes the total 44. 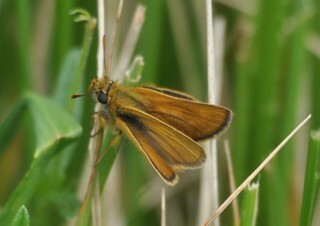 Saw lots of Meadow Browns, Gate Keepers, Dark Green Fritillaries, Small Whites, Large Skipper and Small Tortishell. Met lots of people out walking and all with a smile on their faces. Went to Ashclyst Forest this morning and Dawlish Warren in the afternoon. The weather was hot,hot,hot! 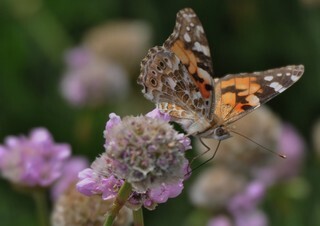 Plenty of butterflies at Ashclyst, had to be patient as they wouldn't settle. 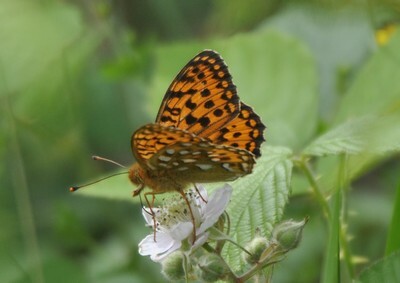 New one for this year several Silver-washed Fritillaries, also White Admirals, Ringlets, Meadow Browns, Large Skippers, Large White and a Comma. Ashclyst is such a great place to walk around but there is also such a difference in a weekday to the weekend, didn't see anybody else today, had the whole forest to myself, lovely place to spend time, very relaxing! Afternoon spent at Dawlish Warren which was completely the opposite with plenty of holiday makers about, another new one for this year a Gatekeeper as well as Small and Large Skipper, Meadow Brown, Comma, Red Admiral, Common Blue, Speckled Wood, Small Copper and a Silver-washed Fritillary which was a nice surprise. Had such a great weekend with friends and wildlife. Saturday I went to visit a good friends Mark and his wife Jane Glanville, you might have seen Mark on Spring watch and Breakfast time TV. He held an open day on Swifts in his garden as part of the "Action for Swifts" Mark has 26 boxes around his house and was amazing to watch these remarkable birds, many screaming above our heads. It was also great to met up with Mark and Jane. Sunday out with more friends on a boat trip run by Nigel Smallbones, we went out bout 8 miles, the weather was great with lots of sun and very little wind. 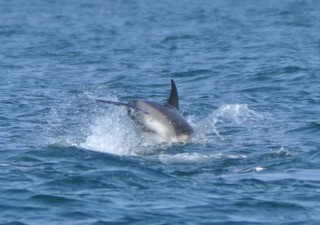 The only down side was few birds, we was lucky to see 30+ Common Dolphins in several groups and a possible 20+ pod of Bottle Nose Dolphins some distance away so not 100% on the id of these, 2 Harbour Porpoise also seen, Grey Seal made up the other mammals seen. 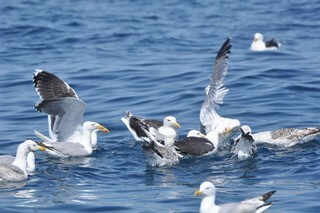 Birds seen were Great-black and Lesser-black Backed Gulls, Herring Gulls, Kittiwake, Fulmar and Gannet around the boat while chumming, on the way back 5 Manx Shearwaters at some distance and a few Guillemots on the water, we didn't go near the colony unlike some idiots on jet skies! Spent the day out chasing Butterflies, started off at Aish Torr on Dartmoor, the weather was great, plenty of sun and very little wind. Since my last visit it looks like somebody has been to do some work clearing paths and opening up the Bracken which the butterflies like. 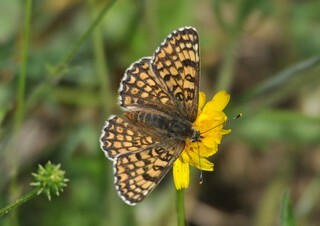 Saw about 20 Fritillaries, 3 positive Id for High Brown and 2 for Dark Green and the rest flying around I couldn't positive id and don't know how others can? 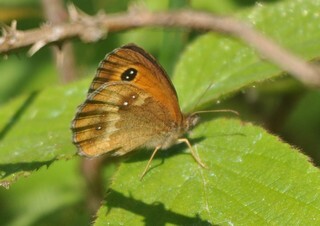 Also saw Small Heath, Green Hairstreak, Meadow Brown and Speckled Wood. I went to Dunsford Meadows and saw Meadow Brown, Speckled Wood, Large Skipper, Dark Green Fritillary, and a couple of possible Purple Hairstreaks, again up in a tree and couldn't get a positive ID. 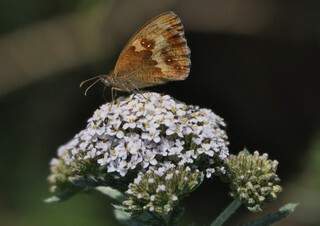 Popped in to a few woodland rides at Holden on the way home, the brambles was full of Bees, Hoverflies and Butterflies with Small Tortishell, Large Skipper, Meadow Brown, Large White, Red Admiral, Speckled wood and a Ringlet flying around and sadly wouldn't settle for a picture. Great day out in the sun! 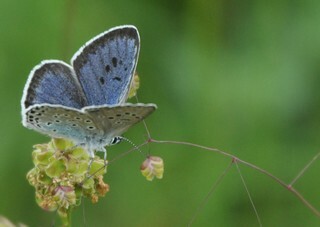 I went to Alners Gorse in Dorset, a reserve run by the Dorset Butterfly Conservation. A fantastic place it is too! 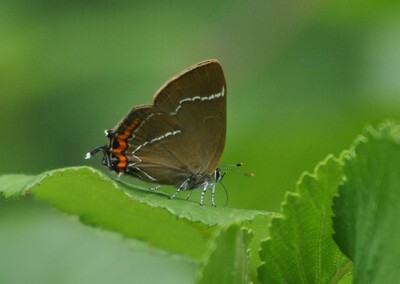 Saw lots of butterflies and managed to get 4 new species for this year including a White-letter Hairstreak which was a "Lifer" for me, helped by a kind gent called Steven Farmer who point the butterfly out, don't think you could get much closer!! 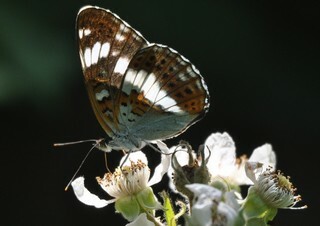 Other new for this year for me were White Admiral, Marbled White and Purple Hairstreak. 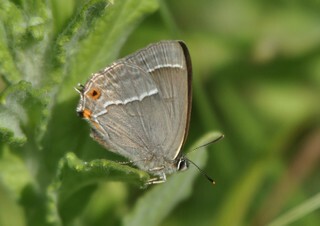 You could see the Hairstreaks around the top of the tree flying around, never seen so many! 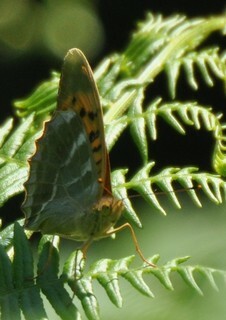 Other Butterflies seen were Green Hairstreaks, Large Skipper, Meadow Brown, Speckled Wood and Common Blue. Great time at this special reserve. 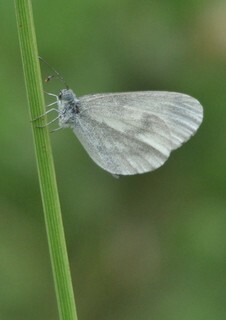 Since coming back from Dorset, I have been looking local for Butterflies but the weather has been against me, I visited Aish Torr, Holden, Dunscombe Meadows, Dawlish Warren and Ashclyst Forest. 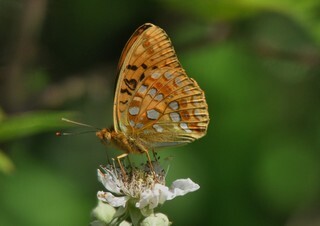 The only new species for this year has been a Dark Green Fritillary at Aish Torr. Have seen other s though with Green Hairstreak, Large Skipper, Meadow Brown, Small Heath, Common Blue, Speckled Wood, Green Veined White, Red Admiral and Brimstone. 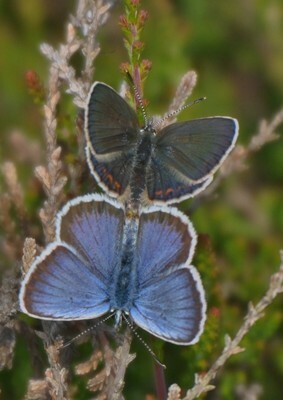 Must say disappointed at the lack of site management at Aish Torr, Holden Butterfly Walk and Ashclyst Forest. All the areas I have been to over the years, now seem to be overgrown and uncared for, this is the difference with Dorset, as there seems to be more effort there. Spent a few days away in Dorset and the Isle of Wight making the most of this excellent weather. 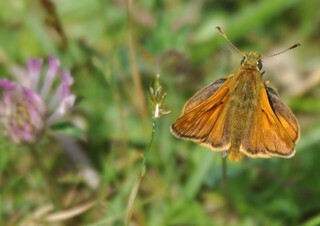 Had a few Butterflies I wanted to catch up with, two of them new to me, the Lulworth Skipper and the Glanville Fritillary. I was told to try new place for me "Whitecliffe" owned by the National Trust which is close to Ulwell near to Swanage. Its a Chalk down with rough grassland which when on the top gives stunning views over Swanage Bay. Would say here that it nearly gave me a heart attack getting up the side of the hill but was worth it when I got there! When I got there I sat down for a while and took in the view and quickly noticed Butterflies of all shapes and sizes around, the first was a Adonis Blue which frustratingly wouldn't sit for a picture. Also saw Common Blue, Green Veined White, Spotted Wood, Small Heath, Meadow Brown, Brown Argos, Dingy Skipper and several Lulworth Skippers! 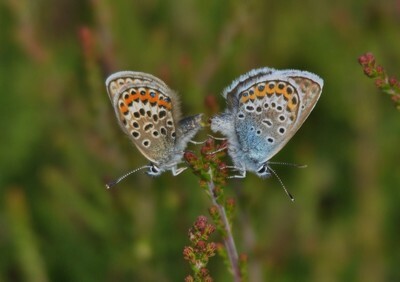 So after a successful Morning I decided to go to Arne as there had been reports of Silver-studded Blues had emerged on Coombe Heath and I wasn't disappointed, apart from singles I managed to get pictures of a pair coupling, well chuffed at that. I was spending the next couple of nights in Christchurch with a visit to the Isle of Wight in between. I couldn't believe the cost of the ferry, £38 each way, £76 total for me and the car and that's without petrol?? So I did a bit more research and went over as a foot passenger, Got the bus from Lymington to Freshwater and walked the rest of the way to Freshwater Bay and along the south coast to Hanover Point. Then got the bus back to the ferry the whole lot cost me £22 which is a lot cheaper than £76!It also got me out walking in a beautiful place, the trip back in the double decker wasn't bad either! The walk was worth it, the scenery was stunning and Butterflies every where, saw 20+ Glanville Fritillary, some worn but many looking fresh, thy just loved the Thrift that was out everywhere. Also saw 2 Painted Ladies, Common Blue, Small Heaths, Meadow Browns, Large Skippers and a few White sp that wouldn't settle to get an id. These last couple of days apart from seeing some great Butterflies, some spectacular flowers and insects such as Dragonflies, Bees, Hoverflies and Beetles. 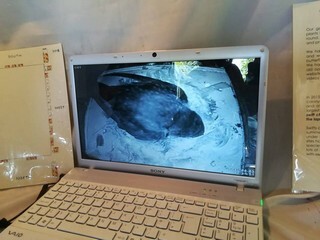 I must think about getting another Camera body and have two cameras set up instead of having to change lens every time. 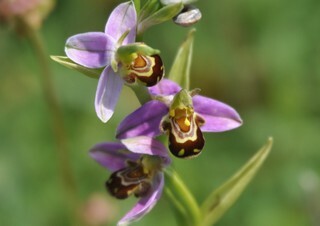 Saw some great Orchids and a new one for me a Butterfly Orchid and many other new plants. I also met some great people, the RSPB volunteers at Arne were just wonderful, the other walkers out on the south cost of the IOW, met some really great people, I could go on, just pleased to met so many nice people which made the trip even better. 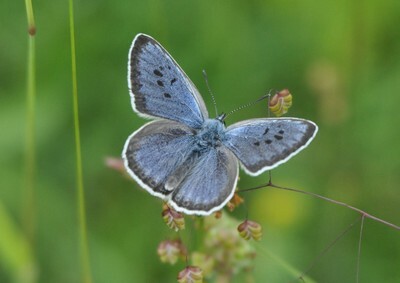 Went to Collard Hill in Somerset to see the Large Blue, the weather wasn't the best but eventually had 11 sightings, as they were flying around a bit this might have been repeats. Great fun talking others on the search, the slopes were very steep so you have to be careful but the rewards are worth it! Also saw some Common Blue, Meadow Brown, Small Heath and Speckled Wood. 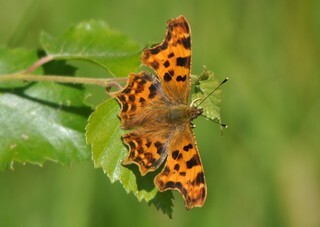 Great day, this makes 31 Butterfly Species this year. 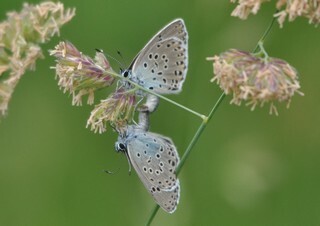 Have been visiting plenty of reserves looking for Butterflies and now have a total 30 species for this year so far. 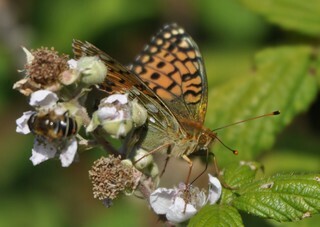 Since Saturday 1st have visited Emsworthy Mire, Dawlish Warren, Haldon Butterfly Walk, Meeth Quarry, Aish Torr and the meadows of Dunsford woods. 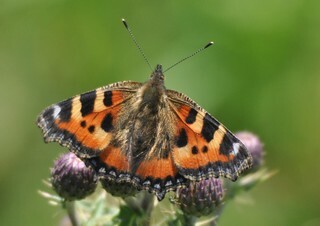 Butterflies seen are Large and Small Skippers, Ringlet, Small Pearl-bordered Fritillary, Pearl-bordered Fritillary, Green Hairstreak, Speckled Wood, Green Veined White, Wood White, Red Admiral, Common Blue, Meadow Brown, Brimstone, Small Heath, Orange Tip and Peacock. 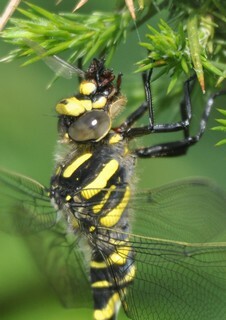 Saw lots of other insects such as Golden-ring Dragonfly, Bees and Insects and Moths. 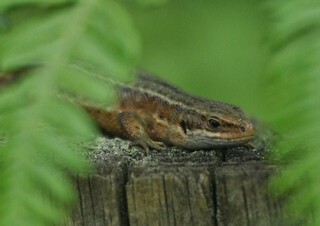 Also a few Deer, Roe and Fallow, Lizards sunning themselves but no Adders which was a surprise. Plenty of stunning wild flowers in beautiful countryside, arnt we lucky to live in it! Good to meet so many nice people about enjoying the great weather, but I wish some of them would learn to reverse before they go on Dartmoor, painful! !